The Cuescript Collapsible Hoods are Perfect for Portable use. 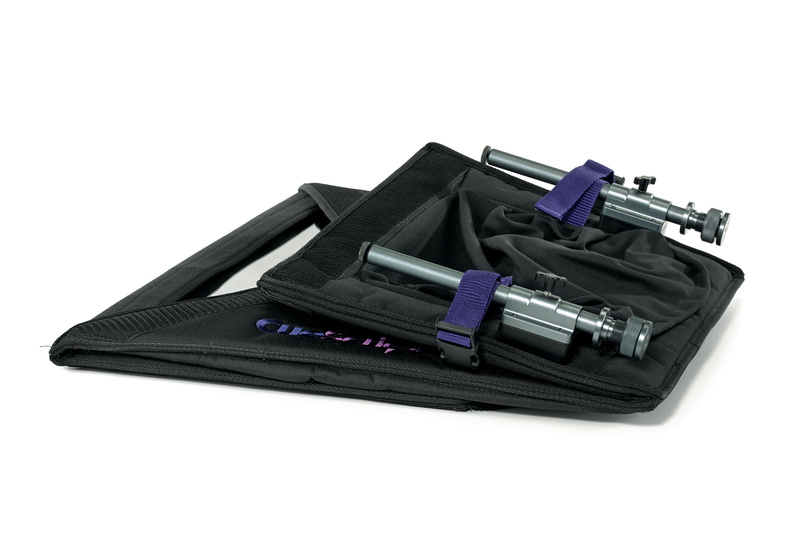 The Collapsible Hoods are super simple to rig and can easily be transported with the glass in place. Available in small, medium and large sizes. 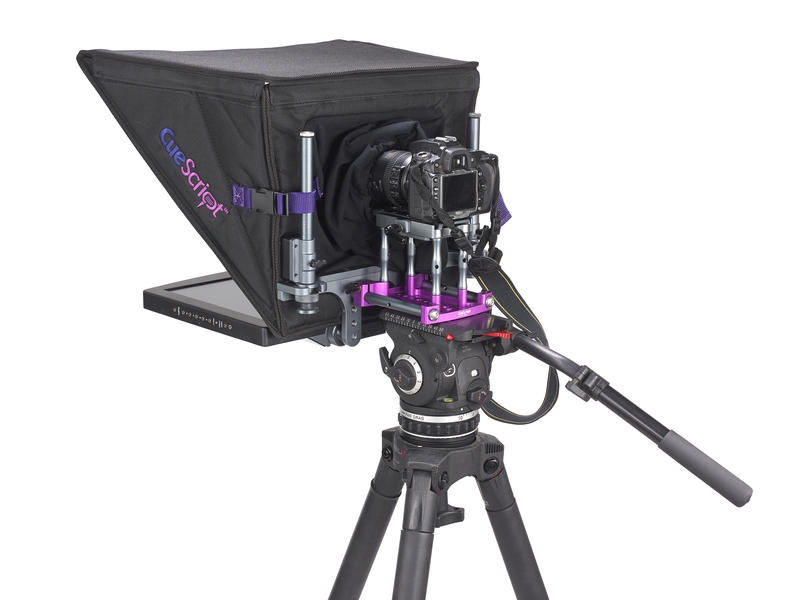 CSHCS Small Collapsible Hood - Perfect for jibs/cranes and small, lightweight setups. Use with CueScript Small Glass (CSGS). 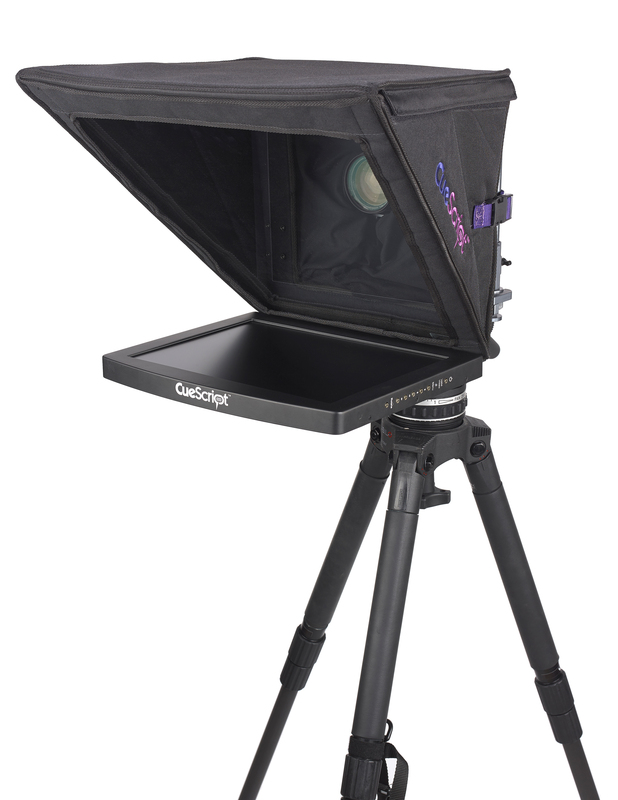 The CSHCS Small Collapsible Hood is included with the 10.4” prompter package (CSP10S). CSHCL Large Collapsible Hood - Portable prompter hood for wide angle shots and box lenses. Use with CueScript Large Glass (CSGL). Suitable for use with 15”, 17” and 19” CueScript Monitors: EMC15/ EMC17/ CSM15/ CSM17/ CSM19/ IPCSM17/ IPCSM19. A bespoke wheeled flight case is available for a prompter system with the Medium Collapsible Hood (CSHCM).